Bananas also have many health benefits such as reducing muscle cramps, making this recipe a healthy one to try. I love baking and really hate wasting food. That’s why I love recipes like this one for banana bread that lets me use food that might otherwise go uneaten for delicious treats that are good for any occasion. So anytime you want a great tasting snack that will please the whole family look no further than a some good homemade banana bread. There are few things in this world that really fill mind and and heart with the feeling of home than fresh baked breads. Banana bread in particular for me as I love the sweet aroma of bananas when they are being cooked. When it comes out of the oven and resting to cool down a bit the air is filled intoxicating scent of fresh baked goodness that makes it hard to resist trying it while it’s still too hot. But if you are patient and wait till just the right time. When it’s still warm enough to smoothly spread a little butter on it, you’ll find that happy place you knew was there all along. Using this easy and quick banana bread recipe you can whip up some great tasty snacks for your family in no time at all. Perfect for those holiday gatherings or just as delicious way of not letting food go to waste. A great snack for any occasion. Combine all ingredients in the mixer and mix until smooth. Grease baking pans with butter or Pam. Pour into pans leaving enough room to rise. Remove from pans and allow to cool on baking rack. Who knew bananas can help keep you young and help prevent against muscle cramps with this recipe, you can have your bananas and be pain-free too! 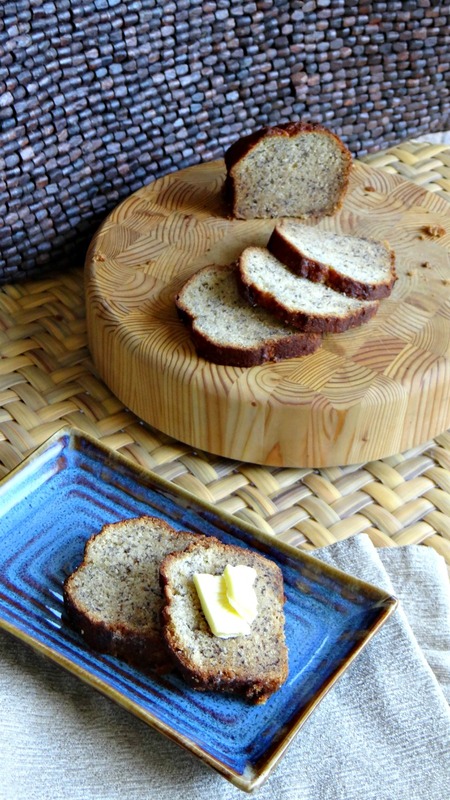 Banana bread is a family favorite in my household! We all love it and you can bet the entire loaf will be done before it’s even completely cooled off! This is a good solid recipe. I cheated a little: I had FOUR very ripe banana and I really didn’t want to just throw one out, so I used them all and added some walnuts we had one hand and it turned out just delicious. It was very moist and took a little longer and was ultra moist on the inside AND a little crisp on the outside ~ the contrast was real nice! I’ll definitely be making this again, soon. Thanks. I love banana bread but haven’t made it in a while. I’ll have to try your recipe. Sounds and looks really good.